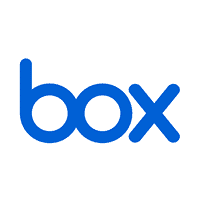 Yesterday, we looked at Dropbox’s stats, so I am keeping the cloud storage theme going and exploring another popular member of this space: Box. Box has been around for almost a decade and has seen steady growth over the past few years as cloud usage has become more mainstream. Box is definitely a digital company to keep an eye on. Here are a few of the more interesting Box statistics and facts I was able to dig up. As always, this list will surely grow over time, so be sure to check back regularly. How many people use Box?